Fingerprint Cards, Sveriges nästa storbolag. : Xiaomi plans to start testing four new smart home modules on Jan.
Xiaomi plans to start testing four new smart home modules on Jan.
Xiaomi, the low-cost Chinese smartphone maker, plans to start testing four new smart home modules on Jan. 26 according to a presentation its executive made this weekend in Beijing. A Bloomberg report quotesXiaomi’s President Bin Lin (pictured above on the left) who unveiled the Xiaomi smart home app at the GeekPark Innovation Festival in Beijing as well as a motion sensor, an open/close sensor, a connected module home appliances and a hub to connect these devices. The Bloomberg report says the hub uses Wi-Fi to connect these devices, but my bet is there are other radios involved, especially for the sensors to ensure they have a longer battery life. Xiaomi already makes a connected light bulb and air purifier that sends a message to users when the filter is dirty. On Thursday Xiaomi CEO Lei Jun (pictured above in the middle) announced the module that hardware partners could attach to their devices to make them smart that would also interface with the smart home app that Xiaomi plans to launch. 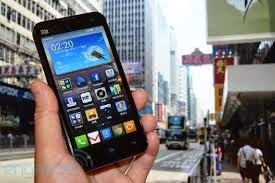 The module, which will cost partners 22 yuan (US$3.6), can be fitted on everything from refrigerators, air conditioners and washing machines, said Xiaomi CEO Lei Jun at an event announcing a new phone. 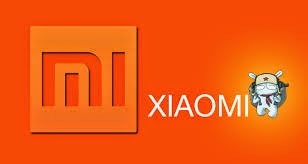 “What is Xiaomi’s strategy? It’s to use the smartphone to link all the smart devices together,” he explained. Users could then remotely control every appliance with a Xiaomi developed app on their smartphone. It appears that we’re seeing more of the emerging system and next week on Jan. 26, some households will get a chance to start testing the devices. Like many of the connected home efforts we’ve covered Xiaomi’s is designed for consumers to operate without calling installers or having to do a lot of legwork to make it work. Samsung, Apple, Google and many of the ISPs all have their own efforts in this sector as do some of the big box retailers. It’s going to be a tough few years for the consumers as this shakes out.